Programs – FunFairs® | Fun Services Inc.
For over 45 years, your local Fun Services has been helping groups to raise money through our FunFairs® Program. Carnival style games, prizes and a festive atmosphere are featured in these events, creating an exciting opportunity to bring your community together. Our team works hard throughout the year, to provide our customers with the highest quality and variety of games. Booth options include games of skill and games of chance, designed to appeal to adults, as well as to our youngest players. Our games are updated often, according to current trends, so your FunFairs® event will be fresh and exciting year after year. Our red-and-white striped booths create a recognizably festive atmosphere that is sure to attract a crowd. FunFairs® are available year-round across the country, with booths that are designed to be set up indoors or out, depending on the season. We offer an ever-changing and high-quality inventory of popular and trendy carnival prizes. We provide selections ranging from cuddly stuffed toys to professional sports team novelties that are designed to make your FunFairs® attendees want to play to win! Consignment prize packages are also available. Fun Services creates opportunities for you to add some liveliness to any event. Choose from a wide variety of extra fun ideas, ranging from crowd-pleasing clowns to talented face painters, as well as popcorn, cotton candy, flavorful sno-cones, balloons and much more! Are you new to planning a fundraiser? Fun Services can help you to plan your event from the ground up. We offer options that range from drop-off to full service support. Let our local team bring the FunFairs® fun to you! 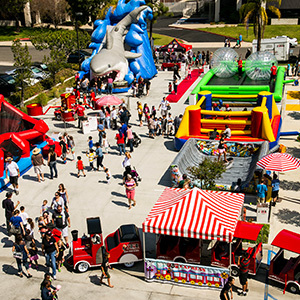 We believe that a FunFairs® event should be just that – FUN! We provide the services and support, while you enjoy the event. 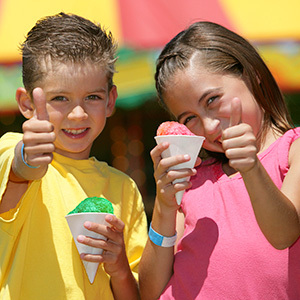 You can count on Fun Services to help make your fundraiser another FunFairs® success story. To contact us for more information about our programs and/or offerings please locate your local office using the State selector in the sidebar.